After “how do you get the ropes into the tree?”, the second most popular question people ask me is: “What do you do all winter?” As the owner of recreational tree climbing business based in the UK, I prefer not to spend too much teaching tree climbing in the winter months. As much as I’d like to spend the winter having lie ins, drinking cups of tea in front of the fire and practising my knot tying, the reality is different. It usually involves catching up on all the office work that didn’t get done over the tree climbing season, making plans for the following year, and, as the Dad of a 5 year old, lie ins are very thin on the ground. However, time off over Winter does also give the opportunity for travel. On Boxing Day 2016, I found myself on the 7.45 am ferry to the mainland and on to Heathrow Airport to catch a flight to Costa Rica ready to start teaching tree climbing to a group of varying tree climbing abilities. I’d been invited by Eric Folmer who runs regular trips to Costa Rica. 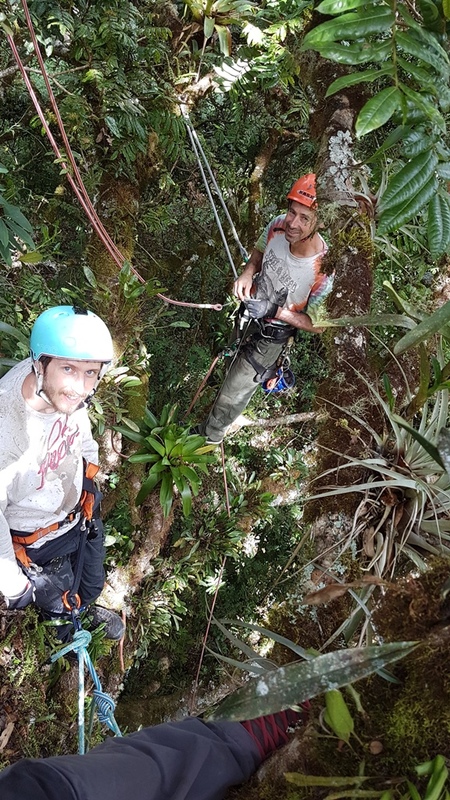 to join him teaching tree climbing and to explore the amazing trees of Costa Rica – a dream for any recreational tree climber! Obviously this isn’t entirely new to someone who spends their days encouraging people to appreciate their natural environment. In Costa Rica however, the diversity of plants, trees, animals and birds I saw blew me away. 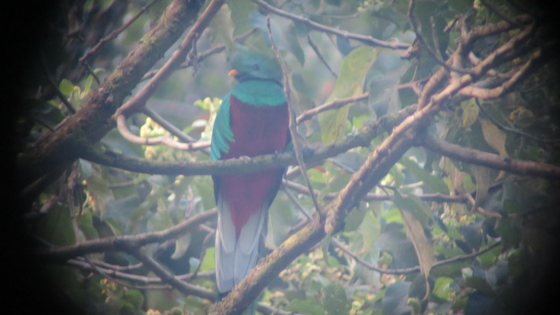 Resplendent Quetzal – a cloud forest resident. I saw the Quetzal and its cousin the Trogan birds I have never heard of, creatures I had heard of like Anteaters and Hummingbirds and the most enormous acorn I had ever seen – and that’s just a few. 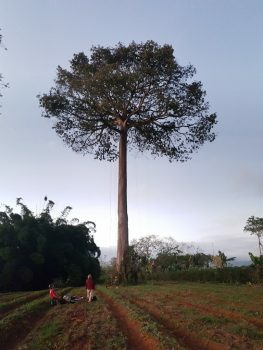 Standing alone in the middle of a field of Watermelon, the Ceiba (Kapok) tree was about 45 metres tall. I managed a climb to 30 metres, but just couldn’t go beyond that. It was a real challenge for me to climb that high. Putting myself in that situation really helped me understand and empathise with nervous tree climbers who want to push themselves, but are fearful of the height. I like (ok love) warm weather! I’m not known for my love of the English winter and I really enjoyed my busman’s holiday to the sun. Costa Rica is beautiful and the sea is warm. What’s not to like! I’ve got certain ways I like to teach tree climbing – just ask the people who work with me! Having taught recreational tree climbing for over 11 years and as a Lantra Instructor and Assessor I’m used to doing things my way. Once I relaxed, it was great to see other people teaching tree climbing differently and I’ve used this experience to enhance my own teaching practice. Everyone I met in Costa Rica was wonderfully friendly and welcoming. 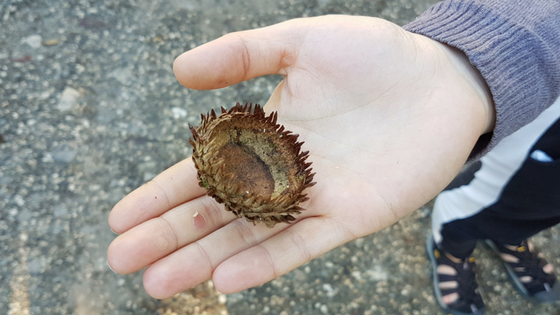 When we were climbing the Ceiba tree (see earlier), some local people came to watch and gave us presents of pineapple and oranges after the climb; it really added to the experience to see friendly faces on the ground when we finished climbing. Costa Rica was a fantastic trip and one that was definitely made better by being able to climb trees and share my love of tree climbing with others. Tree climbing holidays are something I’ve been thinking about for a while – watch this space for news of something new coming in 2018! 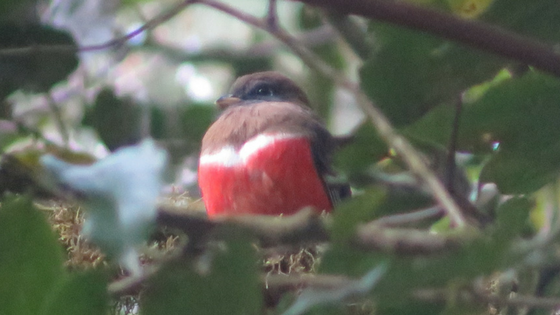 I’ve uploaded some more photos of my trip to Costa Rica on Facebook – pop over and take a look. My snaps don’t do it justice, it’s an amazing country.